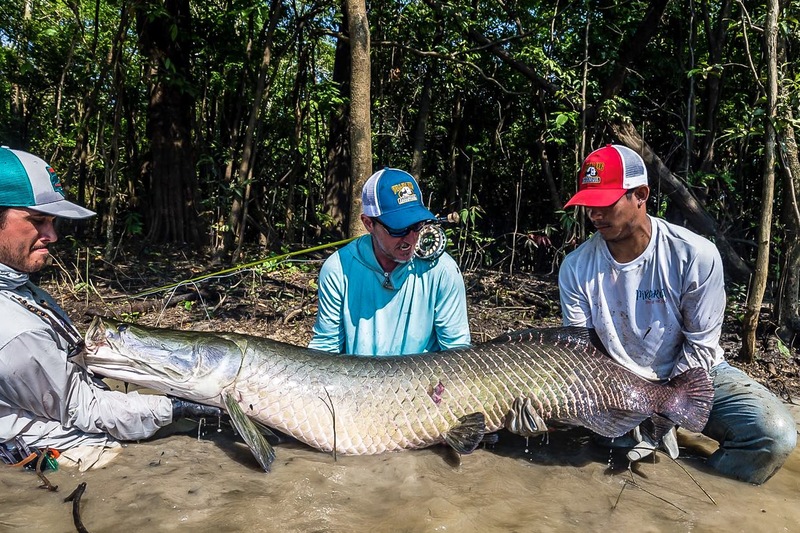 On the first morning of fishing, John caught his first arapaima on a fly, which measured 1.74m. 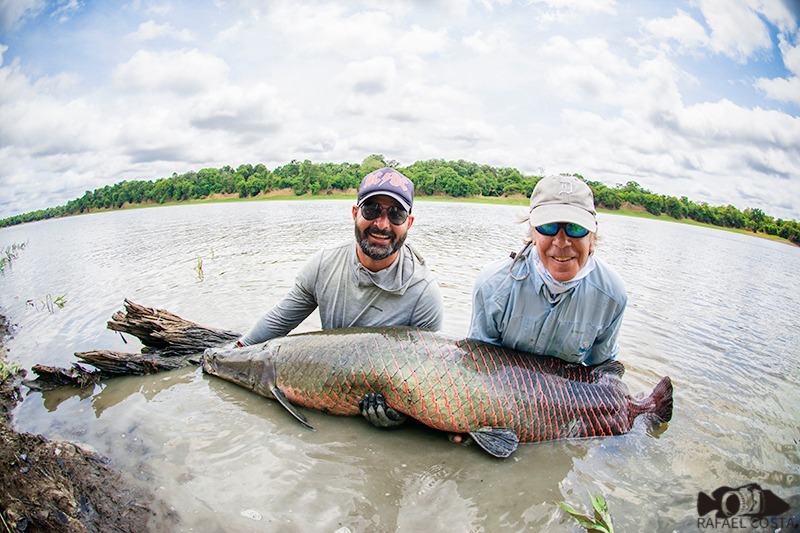 During the week, on just one morning, Hakan and John had an amazing number of strikes, and they connected with 10 arapaima and landed three. An unexplored lake was fished by John and Bryan from Yellow Dog Flyfishing Adventures. Despite the high water conditions, they had a lot of fun with peacock bass and other native species. We had a blast with a 200-pound fish landed by Rodrigo Salles with a 10wt Epic fiberglass rod! An incredible experience!